Although Sainsbury’s, the second-largest chain of supermarkets in the UK, used to provide their own branded fuel card for customers, as of 2015, they’ve partnered with the fuel card company, fuelGenie, and their supermarket-centric fuel card. It’s a win-win for Sainsbury’s loyalists and new customers alike. On top of supermarket loyalty points and 45 days of interest-free credit, the fuelGenie fuel card is accepted at 1,350 supermarket forecourts throughout the UK and Northern Ireland, including Sainsbury’s Tesco, and Morrisons. fuelGenie is a subsidiary of Worldline IT Services UK Limited, a European leader in the transactional services industry with over 40 years of experience. They’ve also been operating fuel card programmes for 17 years. Headquartered in London, Worldline has 8,600 employees worldline and generates annual revenue of €1.22 billion. While other card providers might try to tie you into a lengthy contract rife with account charges and hidden fees, fuelGenie guarantees you only pay for the fuel you use and not a penny more. On average, the supermarket pump price is 3p lower! Your fuelGenie card covers petrol, diesel, LPG, and car wash purchases. True to their word that you only pay the pump price, fuelGenie’s website lays out all their costs and fees, or lack thereof, on their website. Considering how affordable and flexible fuelGenie’s terms are, the quality and range of services they offer are impressive. With fuelGenie’s online account management service, you can access your account any time of the day or week. Which allows you to manage your settings, set fuel card restrictions for your drivers, check and make payments, as well as cancel and request new cards free of charge. You can also download your purchase history to Excel for detailed report analysis. Cut down on your administration time with fuelGenie’s original HMRC VAT-approved invoices, which are delivered to you on a monthly basis and consolidate all of your purchase transactions in one neat package. That said, if your organisation requires more frequent expenditure calculation, you might consider a fuel card with weekly invoices rather than monthly. Your drivers will love that every fuel purchase can count toward their loyalty cards, whether they fuel up at Morrisons, Sainsbury’s, Tesco, or all three! While a lot of providers will impose card limits or charge you for each card you order, fuelGenie lets you order as many cards as you want per account at no extra cost. If a card is damaged or lost, a replacement card only costs £6 per incident. According to customer reviews, you can order/cancel cards 24/7 from your online account. FuelGenie is also apparently speedy about delivering new and replacement cards. Additionally, fuelGenie cards can be personalised to your driver and vehicle. You can also have a pool card free of charge. During the application process, your monthly credit limit will be determined based on credit back. That said, if you find that you’ve outgrown your credit limit, you can make interim payments via your online account 24/7, or you can contact a representative to discuss the option of increasing your credit limit or paying twice monthly instead. FuelGenie’s application process is one of the simplest on the market, due in part to its straightforward terms and pricing system. All you have to do is click on the ‘Apply’ link on the home page of their website, after that, you’ll go to their secure online application page. If you encounter any difficulties, however, their in-house sales team is there to help via phone or e-mail. Their cards aren’t applicable for personal use, but any business or organisation is eligible to apply regardless of the number of vehicles in operation. FuelGenie provides its services to a range of organisations, including businesses of all types and sizes, non-profits, and even schools. So, one benefit of a supermarket card like fuelGenie’s is that you aren’t tied down by a lengthy contract. With fuelGenie, you can leave or switching fuel card providers at any point, without any early termination fee. There are no annual or monthly fees, which means you only pay for the price of the fuel at the pump. fuelGenie will also migrate your account details free of charge. fuelGenie’s transparent pricing system has made it a popular fuel card provider among different organisations, especially SMEs and non-profits who have the most to gain from fuelGenie’s affordable prices and a network of convenient supermarket locations. According to FleetNews, a recent survey reported overwhelming customer satisfaction among fuelGenie’s clients, with 95% reporting that they’ve received good or excellent service. So, this is confirmed by a host of positive reviews from verified clients on fuelGenie’s website, all praising the fuel card provider’s simplicity, helpful representatives, and competitive prices. Given that fuelGenie is one of the more affordable fuel card options on the market, it’s not surprising that they don’t offer the full range of services that other providers do. 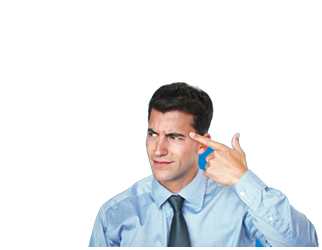 For example, fuelGenie does not provide a dedicated account manager for each client. However, their UK-based customer service team is available Monday through Friday during regular business hours by both e-mail and phone. *Applied quarterly to accounts that have not had any card transactions in the previous three months. There’s a lot of reasons to sing fuelGenie’s praises, especially when it comes to their flexible contract terms and competitive prices. But there are also some reasons fuelGenie won’t suit everyone’s needs. For one, fuelGenie’s network is limited regarding cover. If your fleet operates locally or regionally, fuelGenie’s network of supermarket fuel sites might be all you need. For those requiring wider national or European coverage, or perhaps motorway coverage, however, you’ll probably want to look elsewhere for a fuel card provider. 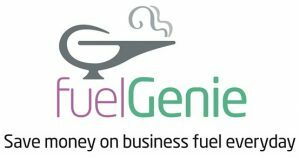 fuelGenie is a UK-based fuel card company owned by Worldline, providing their branded supermarket-centric fuel card with access to Morrisons, Sainsbury’s, and Tesco chains. Finally, given fuelGenie’s ‘no contracts’ or ‘hidden fees’ policy, it’s no wonder that they’re a fan favourite among a range of organisation types, including SMEs and non-profits. Overall, fuelGenie is a reliable card provider with a good reputation. With cost-effective rates and beneficial products and services, as well as flexible terms, fuelGenie is a smart option, especially for locally and regionally operated SMEs and similar organisations.